Dreams in Heels (DIH) is a Trendy Blogazine focused on travel destinations, style & beauty and the power of influence. Founded by NYC-based writer, adventurer and fashionista, Olga Maria Czarkowski, Dreams in Heels was designed to inspire and empower women all around the world to live their lives to the fullest each and every day. Join Olga on her next adventure via DIH Blogazine's social media username #Dreamsinheels. Skewed and Reviewed offers the latest in news, reviews, video clips, interviews, and more. From the latest news, to reviews of books, movies, and restaurants, Out In Jersey is the mid-Atlantic region's go-to place for LGBT culture. Fitness Trainer Magazine is a digital publication that fills the niche existing for a business-to-business publication to help personal/fitness trainers succeed in their professions and improve their service to clients. Much as patients look to doctors for advice to stay well, clients look to trainers to stay fit. Fitness Trainer writers are renowned authorities on the several subjects that are relevant to the training profession. World Wide With Kids is a family travel blog taking you on a journey of the highs and lows of full-time family travel, the best jobs abroad for families on the move, and recommendations on amazing accommodations and fun places to visit across the world. Join us as we travel! A Korean beauty blog chock full of makeup and skincare reviews, and recommendations to inspire and inform your choices. The Mommy Rundown is a blog where moms can get real stories about the things we all deal with as parents. The site also shares news you can use, as well as product reviews and giveaways. Swine & Swill celebrates spirits, craft beer, cocktails and pork. From toasting liquor holidays and reviewing spirits, craft beer and liqueurs to sharing recipes for everything from Palomas to pork chops, we love exploring every delicious aspect of drinking culture and porky eats, in Dallas and abroad. Stop by and enjoy tips and tricks to raising kids in a digital era. Plum Doodles presents easy to follow tutorials for imparting a French country look on a budget. Simple gluten-free recipes, product reviews, and faith lessons are also on the menu. Join us for "a doodle of fun, faith, and furniture." B is 4 is a lifestyle and family site that shares parenting tips, stories, crafts, recipes, reviews, giveaways and more. We enjoy sharing our adventures with other families in hopes to inspire them and show them that life can get messy but be fun with all the blessings and bumps along the way. We invite you to join us in our adventures! IN LOVE WITH COSMETICS is a beauty website & blog, focusing on new makeup and skincare products, makeup artists, gurus and bloggers in the world. Catering to cosmopolitans, fashion aficionados and intellectuals, Love & Biscotti is Brittany “Bella” Graham’s self-proclaimed “purity bath.” Sharing her musings on fashion, philosophy, culture and spirituality, as well as her poetry, personal style and investigative editorials, Bella uses the platform to explore both light-hearted and deeper topics. A self-made marketing consultant, journalist and “digital nomad,” Bella also writes about her adventures in travel and dining, and career tips for creative professionals. Diabetic Foodie strives to prove that a diabetes diagnosis is not a dietary death sentence by providing healthy recipes and tips. Even if you don’t have diabetes, you’ll love the food. Travel-related information and product reviews are occasionally featured. If you love cooking and want to know about new cooking gadgets, small appliances and new food products, Cookistry Reviews does the testing and tasting and gives the pros and cons of every product. Munching on Books is a hungry book review site that focuses on cookbooks, with a smattering of food-related fiction and non-fiction. Once in a while, Munching steps away from the table and wanders off to review books in other genres. 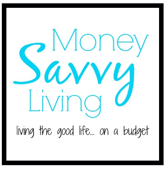 Money Savvy Living is a resource for budgeting and money saving tips on everything from trimming your grocery bill to building your savings for the future, family, faith, and living a healthy lifestyle. It really is possible to live the good life… on a budget. Business Today provides the latest news from the business world from India and around the world. The news can be accessed on the Web, WAP or Social Media. It has more than 1.1 million likes on Facebook. The website has visually appealing, engaging news content and reasonable page length. The website has sections including Stocks, Finances, Industry, Technology, Opinions, Features, and others. Momma Without a Clue is a blog dedicated to all things “Mom,” from the messes and the fights to the joy and wonderment… and everything in between. We offer tips, advice, recipes, reviews, and giveaways - anything to make a mom’s life easier, because every mom is clueless at some point! India Today provides the latest news from politics, cricket, sports, business and cinema from India and around the world. The news can be accessed on the Web, WAP, Social Media or Smart Phone applications thereby reaching a wide variety of audiences. It has more than 6.5 million likes on Facebook. The website has visually appealing, engaging news content and reasonable page length. The India Today App is also available for every smart phone. Online users can read and consume news on the move. 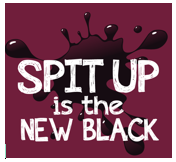 Spit Up is the New Black is a destination for fashion trends, women's and kid's products, travel, DIY crafts, giveaways, and tales of new parenting struggles. Follow this mom of two as she navigates motherhood in style, from leopard pumps to breast pumps. Western Automotive Journalists is an organization of over 80 professional writers, photographers and broadcasters who report on the automotive industry. Founded more than two decades ago, WAJ’s focus is rapidly emerging automotive technology. Two Brothers One Journey will give you an insight on what families go through raising children with autism. We were just an ordinary family whose life took a journey we would never have imagined. Come join us on our journey through autism. BreaGettingFit is all about focusing on total fitness - mind, body, and spirit. Yes, workouts are fun, but so is proper time management, nutrition, and finding time to play. Embracing the Spectrum is about our family’s everyday life with autism. The message we're promoting is one of love and acceptance of autism. Our hope is that Embracing the Spectrum will provide a place of support and advice for those who have family members and friends with autism.